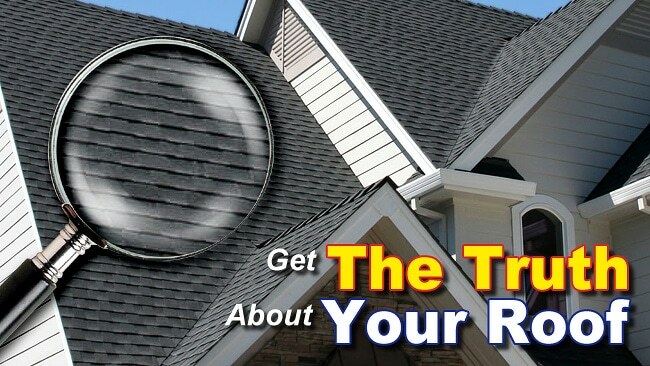 Having your roof inspected annually or at the very least bi-annually is generally a good idea. Even moreso if the home or building you own is occupied by tenants, who may or may not be as attentive to your property as you (or us) would be. Other reasons to have your roof inspected might be excessive moss and algae growth, storm damage or possibly wind storm damage. 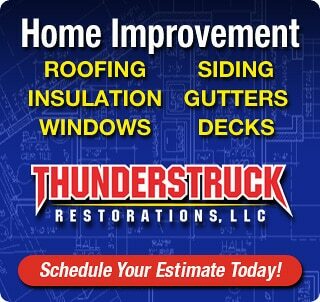 ThunderStruck Restorations LLC offers complete roof inspection services for homeowners within our Minnesota service areas. We have many years of experience as local roofing contractors specializing in several different types of roofing materials and complex roofing projects. In short, we know exactly what to look for in roof to help the homeowner avoid expensive repairs or even roofing replacements further down the road. 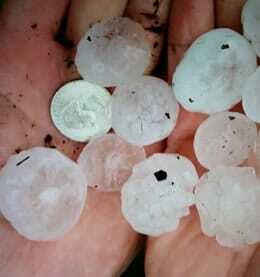 Hail Of This Size Causes Damage To Your Roof! More specifically we’re looking for things like roof damage from hail which is incredibly hard to see, yet causes pre-mature roofing wear that is most often covered by your insurance policy. Hail the size of what we have pictured on the left is not uncommon in Minnesota and it can do serious damage to your roofing system. We’re also looking for things like the amount of roofing granules you have in your gutters. This tells us really quickly what kind of lifespan you can expect from your roof and if there is any support from the roofing material manufacturer. 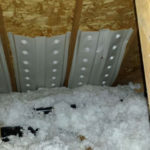 These are very common issues with roofing systems in our area of Minnesota. ThunderStruck Restorations LLC takes our roofing inspections a step further. We are the local roofing experts and can help you solve complex roofing problems such as roofing leaks, poor installations, storm damage, poor venting, and more. 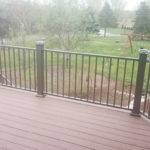 Because we’ve got so much experience with roofing installations and proper roofing techniques we can also offer you several recommendations on materials, maintenance and even venting and properly waterproofing your roof decking to keep it functioning and in good condition. 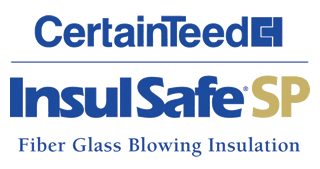 If you’d like to have ThunderStruck Restorations LLC come and inspect your roof for hail damage, rot, shingle granule loss or storm damage please give us a call or fill out our contact form.